Hi Friends! 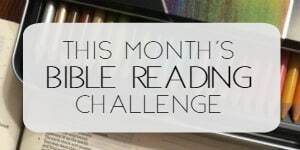 It’s Monday and if you’re participating in the Bible Reading Challenge, we began using a separate post each Monday for the Bible Challenge encouragement and comments. You can head over there to catch up on the latest. Today I have a gift for you! 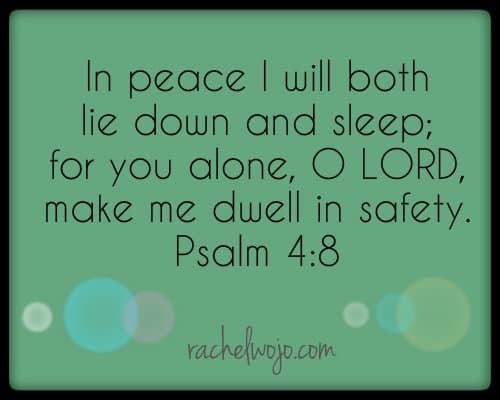 Many of you have loved the post, Bible Verses for When I Can’t Sleep. 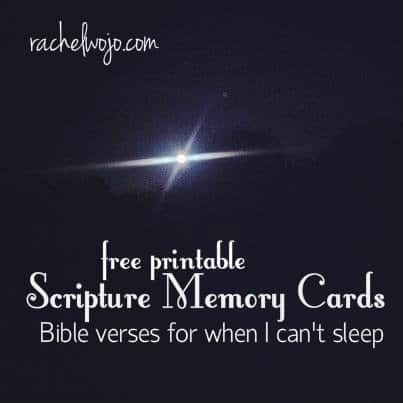 Because I believe so strongly that God’s Word promises and provides rest, I wanted you to have this free printable of Scripture memory cards. I thought we could take the list of verses for sleeping and commit them to memory. Might be a really awesome thing to print them out and place them on your nightstand. Or anywhere close to your bed. Hey, you may even want them under your pillow to pull out for emergencies! 😉 I keep a reading lamp in my nightstand drawer and it’s just enough light to read a little of something without bothering anyone. Each card in this set is a little larger than the last set of Scripture cards for anxiety because a couple of the passages were longer and I felt it was important to include all the applicable portions we possibly could. 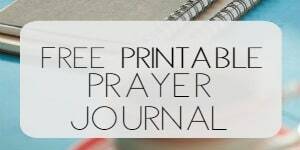 So you’ll need 5 sheets of cardstock for these, but I promise you they will be well worth it! 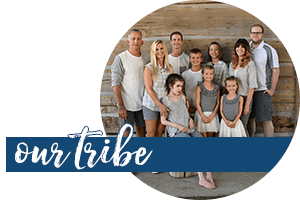 So to get the free download of 9 Bible Verses for when you need a reminder to rest in Jesus, click here to open the pdf. sure thing!! Blessings to you. 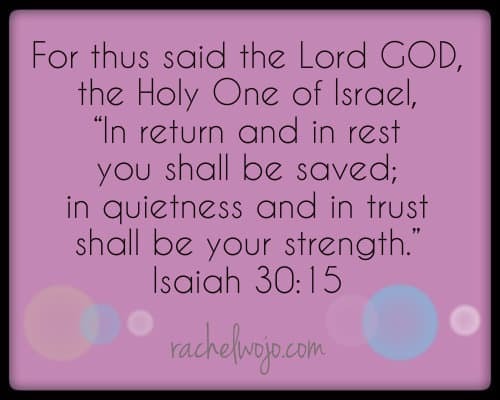 Rachel, these verses were much needed the first time I read them, but needed even more now… thank you!